Want to join the club of the best smartphone users in the world, then you would want to join in on the Apple train. Their smartphone released in 2016, the iPhone 7 is a sight to behold with the premium specification for the best mobile experience. The iPhone 7 Plus accompanied it as its bigger sibling with improved specifications coined from more intensive research and development geared at serving users and customers with the best of designs and the mobile world. With an exterior appearance similar to that of the iPhone 6S, the iPhone 7 features a 4.7” screen size and 138g weight that makes it very comfortable for use. The display is retina HD with multi-touch IPS technology and 1334*750 pixel resolution. The iPhone 7 Plus is the bigger and better version of the iPhone 7, with its 5.5” widescreen LCD and multi-touch display with IPS technology and 1920*1080 pixel resolution at 401ppi. The phone offers you more viewing room at a clearer and more detailed angle. Designed to last long and remain as fresh as new, they are coated with the fingerprint-resistant oleophobic coating and rated IP67 splash, water, and dust resistant. The physical home button has been replaced with a capacitive sensor button that also houses the fingerprint sensor and relies on taptic feedback. The usual 3.5mm audio jack has also been removed and now you can use your earphones with the charging port. The phones come with lightning connectors that allows you to make use of your previous earphones. The iPhone 7 has an upgraded 12MP rear camera with a digital zoom of up to 5x. The facetime HD camera uses a retina flash 7MP lens with wide colour capture for photos and Live photos and 1080p HD video recording. The cameras are designed to be faster and more energy efficient. Enjoy the first dual-camera system on the iPhone 7 Plus. The dual rear camera comes with the f/1.8 aperture 12MP wide angle lens and the f/2.8 12MP telephoto lens. It offers premium portrait mode with 2x optical zoom and 10x digital zoom to give you the best of phone photography. The selfie camera shares the same features as its predecessor. The two models feature optical image stabilization, six-element lens, rear Quad-LED True Tone flash, autofocus, and tap to focus with focus pixels. Wide colour capture and exposure control amongst many other premia feature to start you up on your picture journey. Enjoy 4K video recording at 30 fps, with time-lapse video with stabilization and continuous autofocus video. Equipped as always with the world’s most personal and secure mobile operating system, the iOS 12 with A10 fusion chipset, you can enjoy powerful features that help you to get the most of your everyday. The software is also enabled to give accessibility features to help people with disabilities to get the most of their phones. The features include the voiceover, magnifier, assistive touch, switch control, and speak screen. Get the best of capacity with storage starting from 32GB up to 256GB, and 2GB RAM for the iPhone 7 and GB for the iPhone 7 Plus. Enjoy up to 10 days of standby battery power with the non-removable Li-Ion battery. 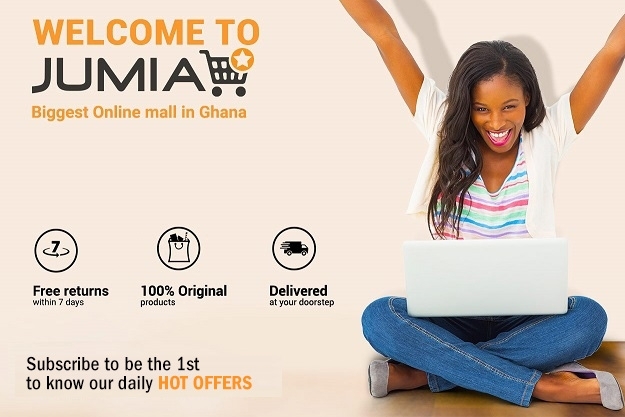 Jumia Ghana offers you only the best high-quality smartphones all at affordable prices. Be sure to get all that you need and more when you use the filter search engine, choose either to pay on delivery or use any of our safe and convenient payment methods and have your phones delivered to your preferred location.